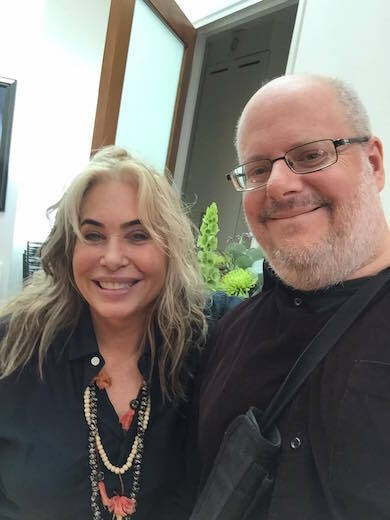 Brix Smith Start returns to Brian Turner's show a little more than a year after his marathon 6-hour radio extravaganza on The Fall, where the band's former guitarist and former Mrs. Mark E. Smith first appeared on WFMU. 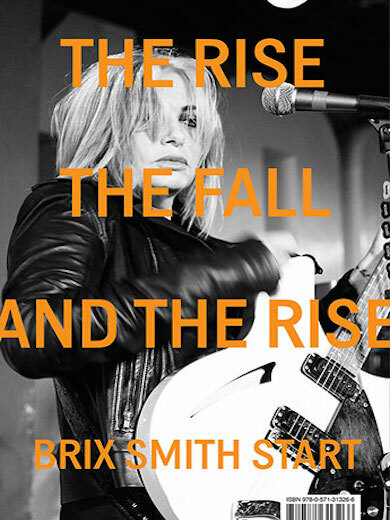 Since then, Brix has released her memoir, The Rise, The Fall, and the Rise (Faber Books) chronicling her American upbringing and eventual relocation to Manchester to help guide the 1980's version of The Fall into a new realm and higher public profile. The book documents her rollercoaster period of success and turmoil before landing on her feet in Britain's TV and fashion world (and a recent cameo in the Ab Fab movie!). 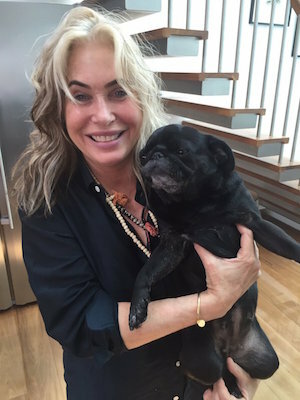 Last month, Brix invited Brian to visit her London home she shares with her husband and her pugs Pixie and Gladys, where they sat down and talked about her long strange trip, and current return to rock with her new band The Extricated. We'll also be playing some Adult Net, live Extricated, and more live Fall material. Wow. Looking forward to this show. Whoa this Wead track is great! Macula Dog sounding pretty rad too! weird cartoon dogs are coming to get me! Can I get a click-click? Psyched that I didn't miss the Brix!! You're not missing much with "Fashion Fix." Always check that Fall roster. You may have been a member at some point and not known. Wow! Craig Leon worked with Adult Net at one point. That's a great thought and an album title: Your Mom was probably in the Fall"
Ambient snoring: Pixie the dog. Very big support for dog snores. This is magical good fun. Always great to hear the Hanley brothers!! Hope they get stateside. Where the hell is Bill Graham? Ask Randy "Now" Ellis at his Mancave in Bordentown! Also, so interesting how social media have changed one's perception as a fan. I remember reading about Steve Hanley's book launch on Twitter and seeing The Extricated form pretty much in front of our eyes! Marc Riley says Fall fans are "-whoa-"? Hmph. What's that even mean? Hmph!! ....and I'm sure he can attest! Totally Wired, one of my (many) favorite Fall tracks...So many albums to choose from. I semi-recall they had a date in DC for that tour (@9:30 methinks) & couldn't manage to get my corpse there, degnebbit. No new wave music tonight! I saw them at leeds university in 1988. they were flying! jeezus. All the hits. Seventeen thumbs up. 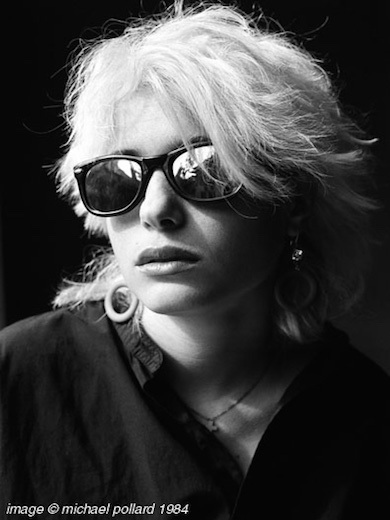 Pretty rich & amazing discography by '88. It's been a while, but I don't remember anything that deep in Phila on that tour. Yeah, rare for the setlists to dip back beyond two albums before the one they were touring. 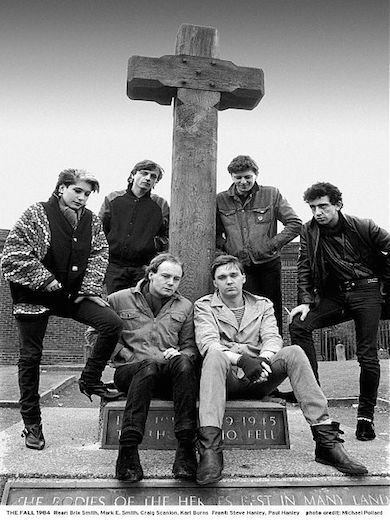 Thefall.org site is an incredible resource for documenting every single gig --- can look at that thing for hours. Once in a while there's a surprise oldie. Marcia Scofield is totally blasting against Hanley this whole gig, I love it. I showed up at Brownies the night after the fateful '98 gig with the bustup and exodus of Burns and Hanley at last - there was a sign on the door that said "The Fall cancelled Mark E. Smith is in jail"
That site looks amazing. Just went in to spot check, found the setlist for a gig I saw in London 12/82. Whole set is there + gig flyer. I don't remember Eton Crop at all, but Felt were great & Danse Society too (surprised me). I´ve enjoyed a lot! ¡Gracias!